"Despite non-stop rain, cold winds and overall poor weather conditions, a lot of big fish were again caught from both Badger's Holt and Lac Serreire. Geert and Arjan from The Netherlands worked hard all week and had a hit of big fish from Badger's Holt ending up with 24 fish with 12 of them over 20kg (44lb) including JoJo at 31Kg (68lb 3oz) and the big common at 26kg (57lb). The number of big fish coming out of Badger's Holt is amazing and this week’s average weight was a little over 18.5kg (40lb 11oz). Congratulations and thanks guys for some really good quality photos! 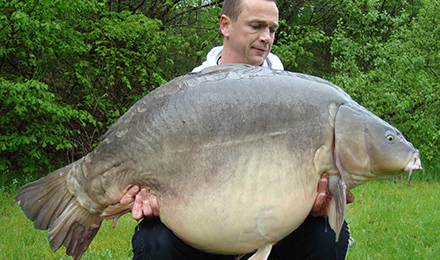 On Lac Serreire, Roel Bocken’s group from Belgium fished hard all week ending up with around 35 fish topped by a massive 29.2Kg (64lb 4oz) mirror to Maarten Bisschops. 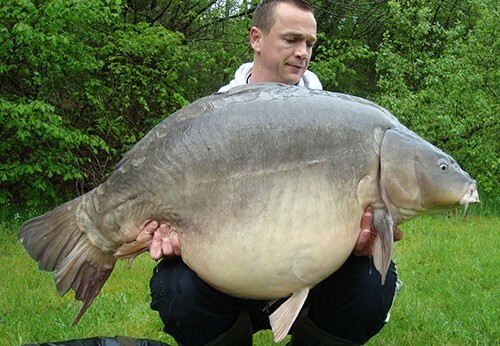 On the last night of their stay it was also nice to see another well earned 23kg (50lb) mirror out. The weather really didn’t help, but in the end everyone had a great week. Hope to see you again in the future!"